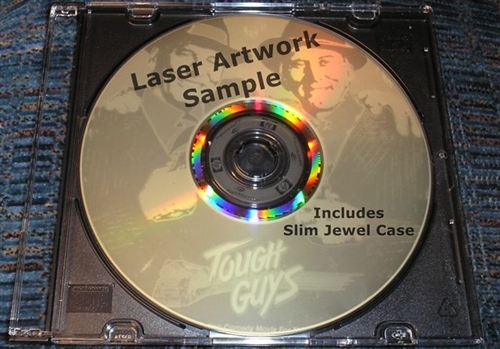 Full USA Studio DVD Release With Menus on DVD R! ------ Upgrade to Special Edition to Add Maid To Order 1987 Ally Sheedy Tom Skerrit on DVD R ! ! Ricki Lake plays Grace, a plus sized and adorable young lady who has an eye for a good looking man named Rob, played by Craig Sheffer. The trouble is that Rob is engaged to another woman, no matter though, Grace will win him over. This is a fun and whimsical romantic comedy that will make you laugh and tug at your heart strings to be sure. Cute, funny and a bot odd to be sure. Ricki gives a wonderful performance as a women on a mission. Craig Sheffer is also quite endearing in his role as the guy about to be had. Lake really really plays it big in this film, as she has to do it that way. As romantic comedies go this film does offer a light diversion from the main fare. Babycakes Ricki Lake DVD is great romantic comedy entertainment. Lake and Sheffer are fun and a bit quirky together in this offbeat RomCom. This was in Ricki's early movie days when she was heavier but they made her look as big as possible in this film and she plays on it too. Sheffer is the brunt of some humility a couple times in this movie. Funny, stinging and even snarky, this one is literally a ton of fun. This 80s RomCom certainly deserves a place on your movie shelf. Babycakes DVD 1989 is a fun and light hearted RomCom that deals with a woman of size and her struggles to find love. 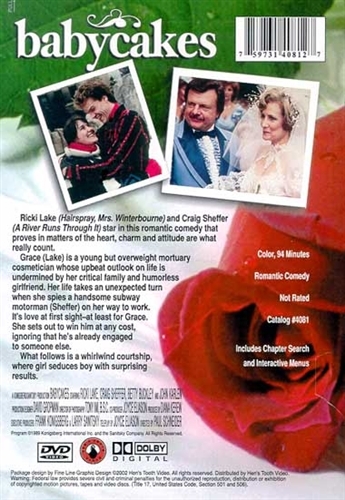 Babycakes 1989 DVD is a fun and whimsical romantic comedy from the 80s. Ricki Lake is charming and fun in an early performance from her in Babycakes DVD. Ricki Lake and Craig Sheffer are wonderful in the odd love story Babycakes DVD. Babycakes DVD is one of the most touching romantic comedies to come out of the 80s. Ricki Lake is in wonderful comedic and dramatic form for Babycakes DVD.